Main Specifications. The arrival of the item is 2-4weeks on average. Dual display: Main 20000 / sub 2000 count. "Must have" in your labs. 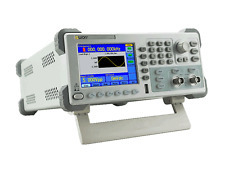 This is a high quality, feature packed LCR meter that has been a lab bench favorite for many years. Its has been reviewed to death, so the prospective buyer should have no problems finding youtube videos comparing it to other meters. This has significantly more features and is more capable and accurate than the $20 meters your going to see on eBay. It allows for multiple frequency options, series and parallel value calculations, quality and dissipation values, true 4-wire kelvin measurements, etc. Buy this. Make the alligator to kelvin clips modification, insert the battery the correct way, and you'll be very pleased with this meter on your bench. A high quality LCR meter for a good price. 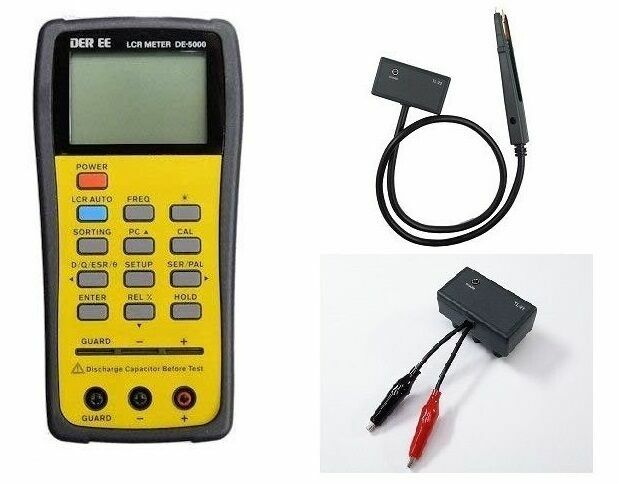 I have found this LCR meter to be of high quality and accurate. The auto LCR function is very fast. I downloaded and printed the English manual because it came with the Japanese manual. The only issue I have had is the software will not run under Windows 2000, it runs just fine under Windows XP. One important thing I read on a blog is this instrument has no reverse polarity protection on it's 9 volt battery and if you put the battery in backwards it will damage the meter. I am using the included a.c. adapter because I just use this instrument on my work bench. Overall I really like this LCR meter and it meets my needs and for a reasonable price. Excellent tool, very practical and necessary for everyone who deals with servicing. Very quickly and simply checked a large amount of parts in stock and gained accurate insight into their condition. Especially helped in classification electrolytic capacitors. If you get along with him and IR interface very easy to create a database with the exact value of all the parts that you have in stock. If you need, you are going to be satisfied with the quality and accuracy. Outstanding Value Measuring shunt wire to .001 ohms is astounding! Electronics knowledge...Intermediate. It appears to be the same as the IET Labs DE 5000, in fact the specs are mostly the same, the documentation is better and would apply to both instruments. Some of the measurements it can do are new to me. It’s intuitive interface is convenient to use. Very repeatable measurements. Measuring shunt wire to .001 ohms is astounding. As I explore electronics further it will be a great asset.